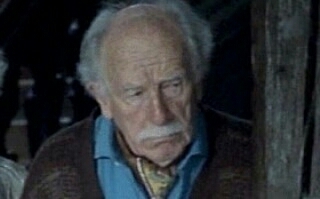 Harry Potter actor Sam Beazley, who played Professor Everard in the Order of the Phoenix, has died aged 101. The British actor, born in Kensington, had a long and distinguished theatre career before he turned to the screen. He played Professor Everard in Harry Potter and the Order of the Phoenix, the fifth in the series. He also appeared in Johnny English and Bridget Jones' Diary. His death was announced in the Times newspaper, with a statement reading: 'Actor and artist, died in his sleep 12th June 2017, aged 101. Beloved brother-in-law, uncle and great uncle. Funeral on 21st June, at Mortlake Crematorium, 2pm.' May his soul rest in peace! 0 Comment to "Harry Potter Star, Sam Beazley Dies Aged 101"